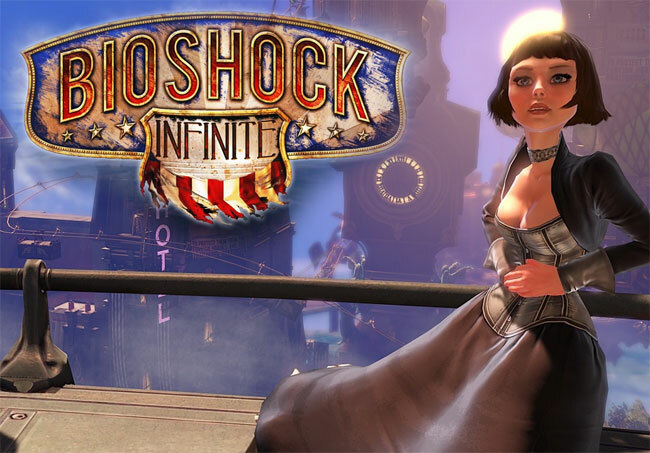 Fans of the BioShock franchise have been counting the days until the next game in the series called BioShock Infinite launches. That game is set to launch on March 26, which is only a few weeks away now. Irrational Games has announced that along with the launch of the standalone video game it is also going to be selling a Season Pass. The Season Pass will get players all three planned download content packs for $19.99. Xbox 360 gamers will pay 1600 MS points. The season pass is available for the PS3, PC gamers, and Xbox 360 via download. The price represents a 30% savings over purchasing the individual download packs themselves. People who pre-order will also get some exclusives including four pieces of exclusive gear. Pre-ordering also gets damage upgrades for the machine gun and the pistol as well as gold skins for both of those weapons. Players will also get five infusion bottles allowing them to increase their health, shield durability, and their ability to use vigors.